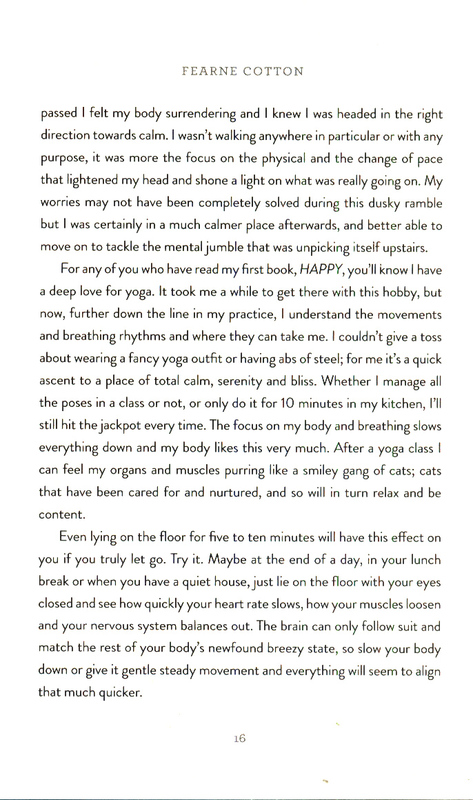 THE FOLLOW UP TO THE SUNDAY TIMES BESTSELLER, HAPPY: FINDING JOY IN EVERY DAY AND LETTING GO OF PERFECT'Calm for me is less about thought and much more about feeling. 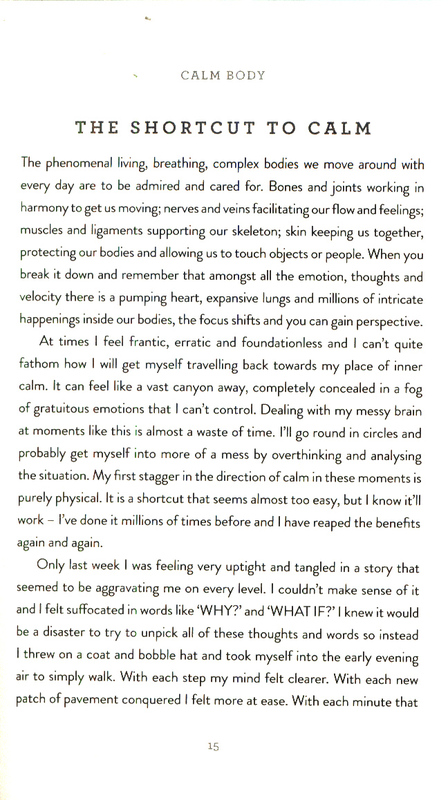 It is a stillness that allows my lungs to expand like hot air balloons. It is an acceptance of the noise around me. It is a magic alchemy that might last a second or a whole day, where I feel relaxed yet aware; still yet dynamic; open yet protected . . . '***In today's always-on world, for many of us it seems impossible to relax, take time out or mute the encircling 'noise'. 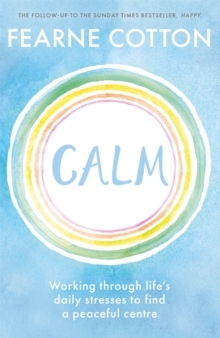 It is easy to feel trapped in this frenzied state of mind: we are surrounded by negative stories in the press, weighed down by pressures from work, family life or school and subject to constant scrutiny under the all-seeing eye of social media. 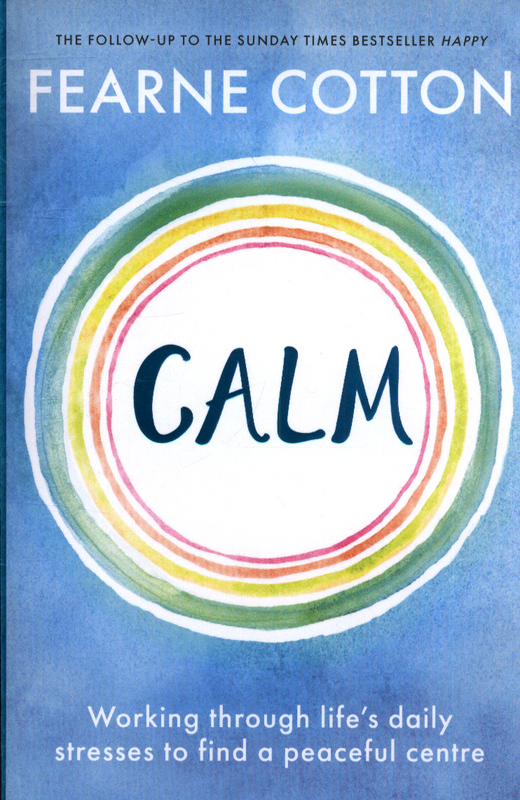 As a result, mental health illnesses are on the rise in every age group, and more of us than ever before yearn for silence, peace and calm. 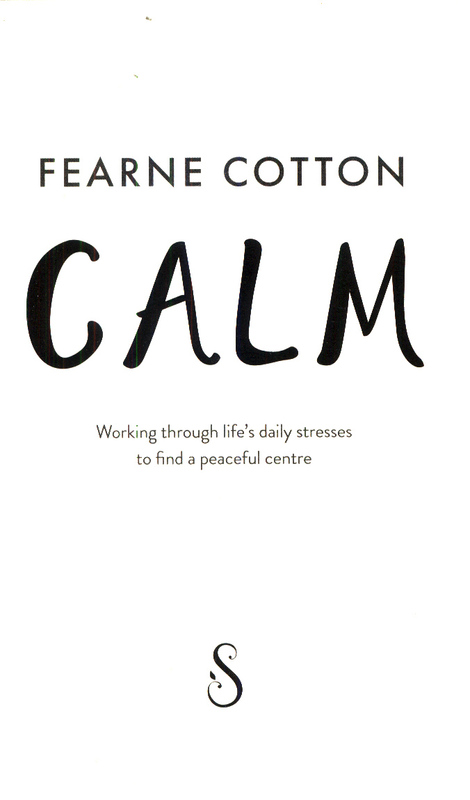 CALM is Fearne's mission to find the simple things that can inch us away from stress and over to the good stuff. 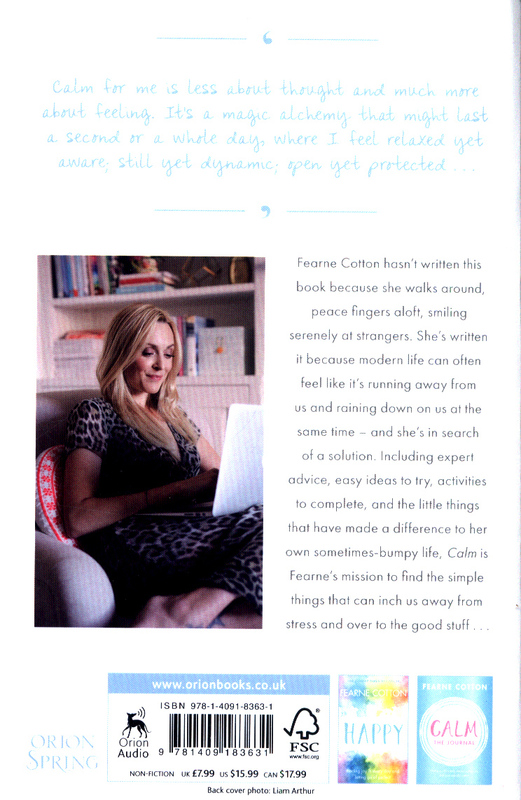 Including expert advice, conversations with wise friends from all walks of life, easy ideas to try, activities to complete - and the little things that have made a difference to her own, sometimes-bumpy life - this book is a friendly reminder that Calm is a place that exists in us all, we just have to find our way back to it.